Sunset views from a well appointed terrace. View of the beautiful villa and the salt water swimming pool. The large open plan living and dining area with views to the garden. 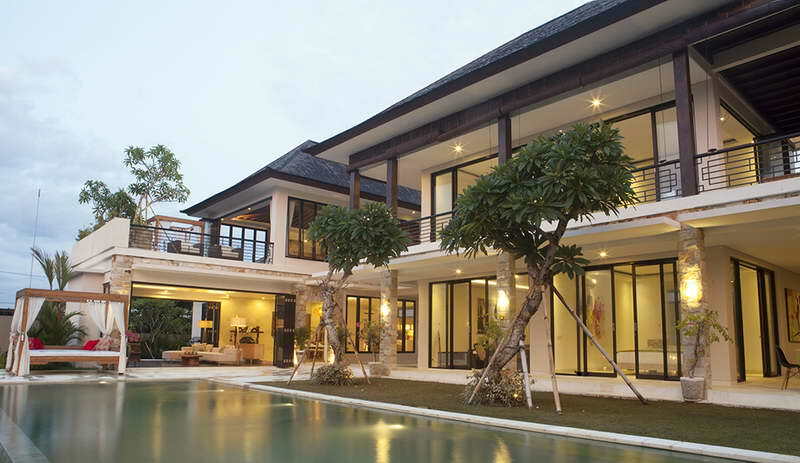 This Villa with Pondok Wisata License (short-term stays) has a building size of 637 square metres and has 5-bedrooms and 7-bathrooms. There is a large open plan dining and living area, two kitchens and a rooftop surf and sunset observatory. It also has a spa pavilion with massage tables and a big 15-metre long salt-water swimming pool. Neil Power told WILLIAMS MEDIA "This fantastic property is in a perfect location. Canggu is popular for surfing, beaches, beach clubs, restaurants, cafes, live music venues, nightlife and family activities and they're all within walking distance or short scooter ride from the villa."